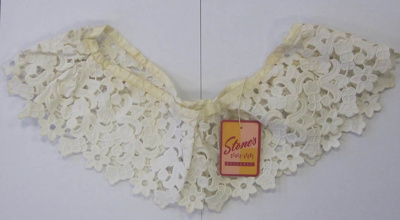 About this objectWhite lace loose collar. Neck edge bound in cream satin. “Stone’s Style Store Ballarat” tag attached.